The South African Institute for Advancement has published a comprehensive new report into the key access and success challenges facing public higher education in South Africa. In-depth interviews were conducted with 18 of our 23 universities for the study funded by US-based Kresge Foundation. 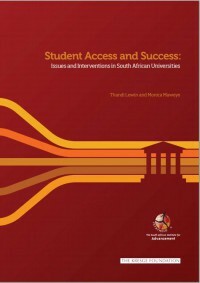 Report finds that a systemic change is needed to improve access and success at South African universities. Click here to download the report summary or download the full report below.